SHETLAND Arts is to lose its director Gwilym Gibbons in September after eight years at the helm of the arts development agency. The 43 year old announced his departure on Thursday, six months ahead to allow the organisation time to make “a smooth transition”. He plans to remain in Shetland, from where he will run a new creative agency to help heritage and cultural groups support themselves during the squeeze on public spending. Gibbons has steered Shetland Arts through its most dynamic and controversial period, almost quadrupling its turnover while tripling staffing levels since he took over in 2006. His major achievement has been the successful planning and construction of the £13.5 million cinema and music venue Mareel. 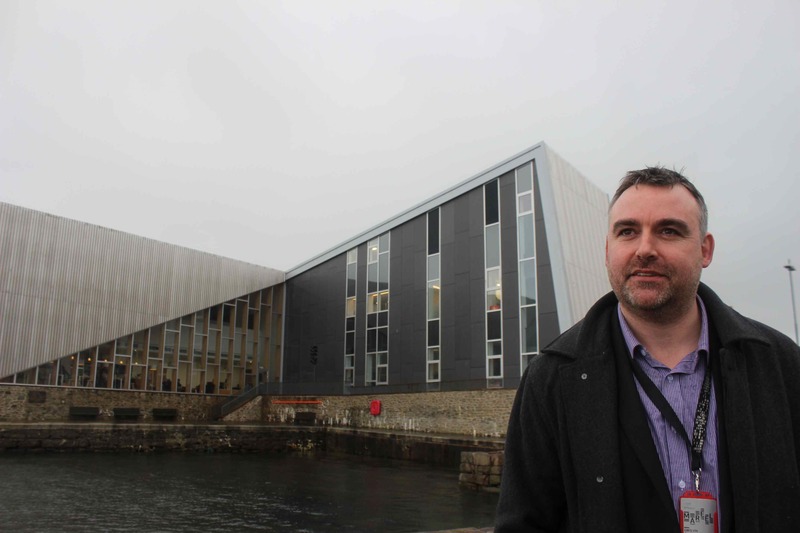 The ambitious project took more than a decade of campaigning even before the main plank of funding was approved on the casting vote of Shetland Islands Council convener Sandy Cluness in 2008. The actual construction was mired with delays and disputes between Shetland Arts and builders DITT, which ended up in legal challenges but was eventually settled outside of court. Since it opened 18 months ago the building has transformed Shetland’s cultural landscape, with the cinema proving hugely popular bringing new release movies to the islands for the first time in decades. The state of the art music venue has attracted artists from around the world who have invariably praised its high quality, while providing courses for sound engineering students at Shetland College. Gibbons said he was proud of what had been achieved during his tenure, saying it was the right time to move on and let someone else take charge. “What I have seen is an organisation grow from a turnover of about £700,000 to £2.5 million with less funding from Shetland Charitable Trust – that’s a major achievement,” he said. “I am quite proud of the level of employment we have created. Some people criticise that, but we have moved from around 18 full time equivalent employees to 58. That’s a great thing. “But what’s really exciting is what’s going to happen next because we have to almost reimagine the cultural landscape now that Mareel is bedded in. He said that in September he would have been in charge for exactly eight years, which felt “absolutely the right time” to move on and hand over to someone new. He intends to use the “huge amount of learning” from his work with Shetland Arts and other organisations outside the isles to set up a new agency called Creative Help. “I’ll be working with others to provide practical support to the heritage and cultural sector organisations that are going through times of significant challenge and I am also looking into getting directly involved in delivering creative projects as well,” he said. “I am staying in Shetland. I love Shetland even in this weather, so I am going to base myself here. He added that he was immensely proud of both Mareel and the team at Shetland Arts. “He has made a unique contribution to the wellbeing of the Shetland community through his leadership of an agency which provides such diverse services to so many.